Need to rest a little after an active day or would you simply like a nice lunch? This complete brunch buffet will meet all your needs. This will be delicious! For just €13.95 per adult and €8.50 per child (up to 11 years old). 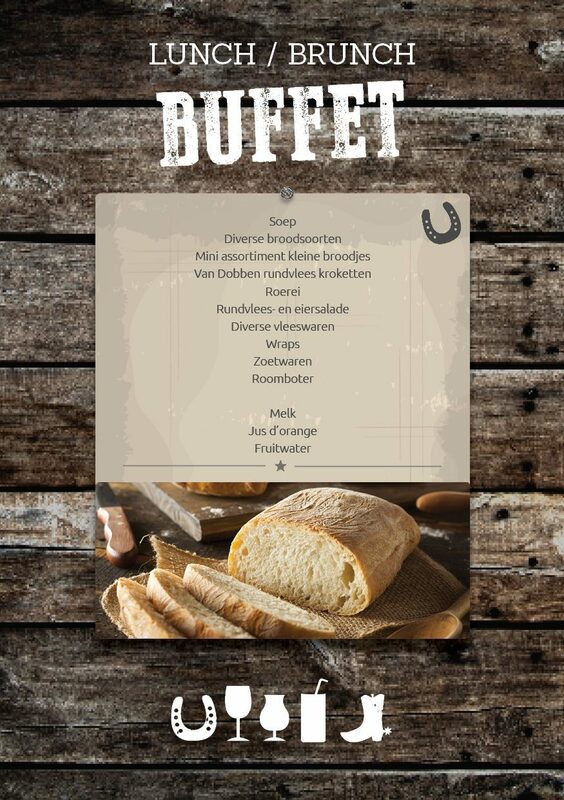 This Buffet can be booked up to 16.00 o'clock, for 15 people or more. Come and enjoy the most delicious bread rolls, small dishes and fresh juices, all presented as a Buffet. Enjoy a wonderful lunch with your group. You'll start with a nice soup. You can choose from 4 great dishes. Price €9.95 per adult and €6.95 for children up to 11 years old. Reserve your Lunch or Brunch in Voorthuizen directly online!